Well it’s here. With only one day left for the previous EAP to expire, we’ve managed to get a new EAP build. All is fine. Download the latest EAP now. Let’s see what’s in store in this build. Note that when it comes to choosing destination classes, this refactoring only offers those that are members of the original class. It’s also worth pointing out that Move Instance Method currently only supports C# but we’re working to ensure VB.NET support in subsequent builds. 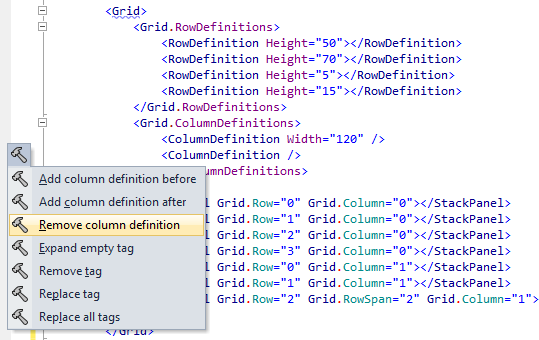 We’ve added several new code inspections and quick-fixes related to the usage of grids in XAML markup. Although present in one of the previous EAP’s we’ve now polished it up for the current release and ready to talk about it some more. It adds the missing definitions without moving the caret around, and you stay exactly where you had been before the fix was applied. If you’re working with a complex layout and you stand at a grid row property that’s several screens away from row definitions, that saves you quite a bit of navigating through your code. 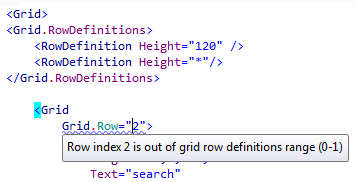 There’s also a new inspection that fires up whenever a control within a grid doesn’t specify a row or column number, and suggests a fix. Note that this inspection isn’t fired for the first control in a grid since developers often deliberately leave columns and rows for the first controls unspecified. We’re not only adding code inspections and corresponding quick-fixes but standalone context actions as well. 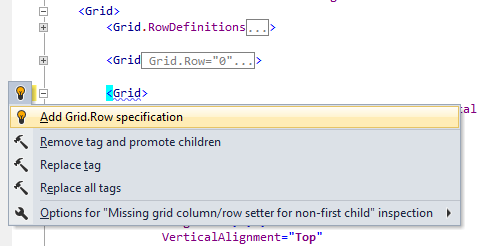 Specifically, there are new context actions to add or remove a row or column definition before or after the current definition, as well as one to remove the current row or column definition. We have added a whole bunch of refactoring and enhancements for XAML, including Extract Style Refactoring, collapsing empty tags, code cleanup, styling daemons, and more. We’ll be covering these in more detail in a separate blog post. Some touch-ups have been applied to the ReSharper UI where most of the older controls are now replaced with WPF ones. We’ve also fixed numerous bug reported since the previous EAP (thanks everyone for these reports and keep them coming). Additionally, two somewhat annoying bugs have also been fixed with this release, related to MSBuild. The first one is Conditional References with MSBuild and the second has to do with ResolveAssemblyReferencesDependsOn build task. We hope you enjoy this latest release of ReSharper 8 EAP and as always, welcome bug reports and feedback. Download the latest EAP now. 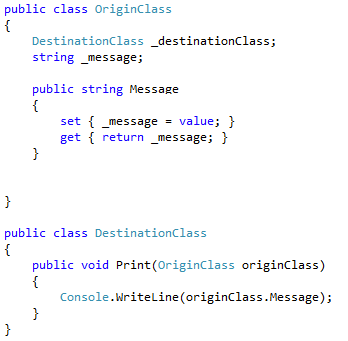 This entry was posted in How-To's and tagged ReSharper, ReSharper 8. Bookmark the permalink. Have you updated command-line tool as well? Glad to see all these XAML helpers built in: I can retire GammaXaml for R# 8. 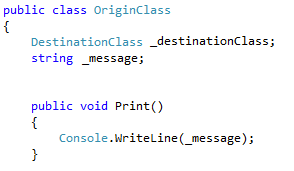 The new WPF tree in Find Usages lacks some contrast that was here previously: line numbers and “(number of items)” were in different colors IIRC, making the tree more readable. Overall, this EAP feels a lot smoother than the previous one. Keep up the good work! Looks like we haven’t updated the link to command-line tools for some reason. Apologies. Looking to fix this later today. We’re aiming to release in July. Is there typescript support yet?